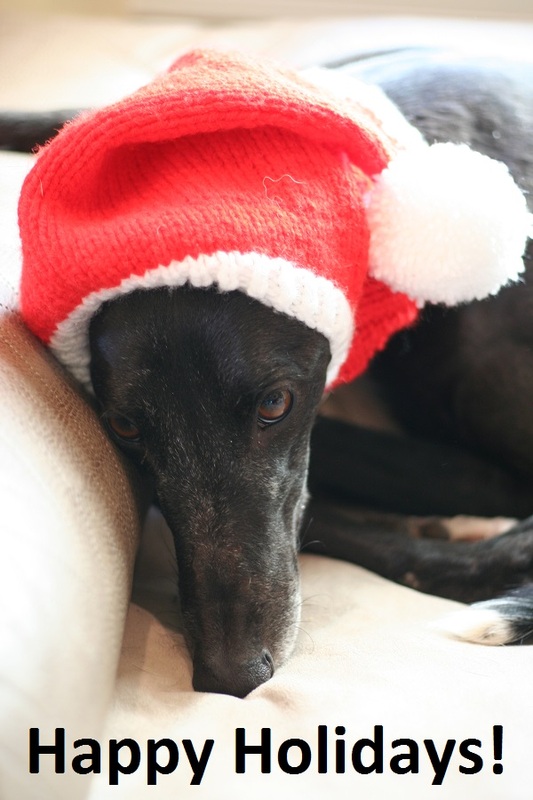 Happy Holidays from Blue Ridge Greyhound Adoption! I have been really good this year. I watered the Christmas tree at least 10 times. Mom and Dad really liked it because they took me outside to play every time. I also took Mom and Dad for a walk every day. Dad needs the exercise. You should really try these cookies and carrots Mom and Dad left for me tonight.